The BMCC Learning Across America campus for New Jersey area residents is at College of Saint Elizabeth in Morristown, New Jersey. Parking is plentiful and free for students. A cafeteria is available for students who do not bring lunch. For course description click on course title. Class meets over one weekend: Saturday and Sunday, May 4 and 5. On SATURDAY, May 18, class travels together to Lancaster County. Learn about the history, customs, and culture of the Amish. 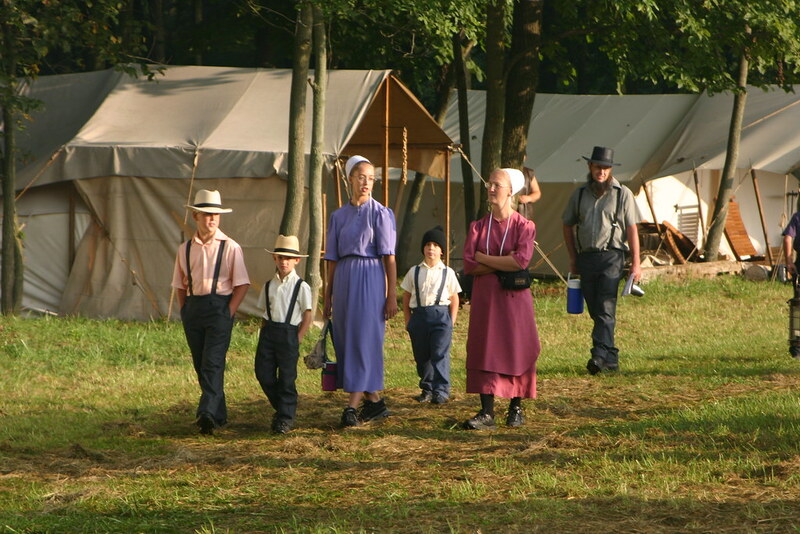 After two class sessions, your class will travel to the Amish country of Pennsylvania. You will further explore the Amish while touring the countryside. You'll also visit an Amish farm and quilt shop, and be treated to a sit-down family-style feast of traditional Amish food. 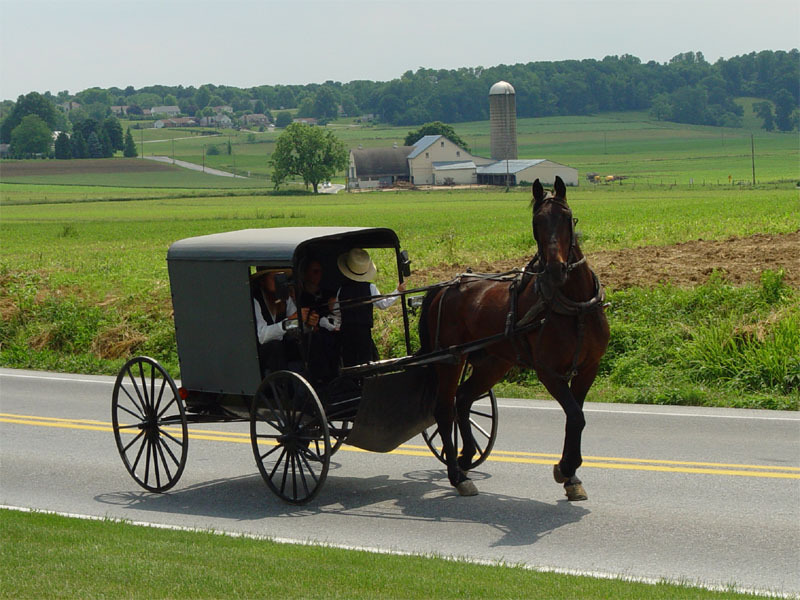 For more information about your day-trip to the Amish Country in Lancaster County, PA, please visit the the Cultural Hi-Ways website. Program fee includes roundtrip travel and tour in the Amish country. There are no additional fees. PLEASE NOTE: in order to receive any credit, you MUST attend all classes, complete all the assignments and go on the tour. Please make sure, before you sign up, that you are available on all class dates and the trip dates. There are NO make-up assignments and NO excuses. There is a mandatory pre-assignment for this course. You must complete this and bring it to the first class EVEN IF you register at the last minute. Pre-assignments are sent to students via email one week before the first class date and again two days before the first class date. Classes that take place over a single weekend may also require students to email in a final project. CLASS IS FULL. CLICK ADD TO WAITLIST BUTTON. Class meets over one weekend with extended days: Saturday and Sunday, May 4 and 5. Participants are invited to explore the history, geography, landmarks, arts, and customs of Niagara Falls through classroom lectures, films, articles, and discussions while improving your English comprehension skills. After you complete your class sessions you will participate in a weekend tour to Niagara Falls! To see a detailed itinerary of the tour, please visit the Cultural Hi-Ways website. When you have successfully completed the course (including the tour), you will obtain a CERTIFICATE stating you have earned credit for 40 HOURS or 4.0 CEU. PLEASE NOTE: in order to receive any credit, you MUST attend all classes, complete all the assignments and go on the tour. Please make sure, before you sign up, that you are available on the three class dates and the trip dates. There are NO make-up assignments and NO excuses. Program Fee: $499 (includes roundtrip travel and hotel in Niagara Falls). No additional fees. But, Canadian visa fees may apply for some students - see below. IMPORTANT: If you need a visa to enter Canada (check at the Canadian Consulate website ) make sure to include BOTH your trip letter from Cultural Hi-Ways and your attendance letter from BMCC in your application. However, it may now take TWO MONTHS OR MORE for the Canadian authorities to process your visa application. â€¢ If you do not receive you visa in time to travel to Canada with your class you will not be entitled to any refund from either BMCC or Cultural Hi-Ways. For the June 14-16 tour, there is no option to stay on the United States side of the border. There is a mandatory pre-assignment for this course. You must complete this and bring it to the first class EVEN IF you register at the last minute. Pre-assignments are sent to students via email one week before the first class date, and again two days before the first class date.